Dusan Ivkovic made his decision. It was announced today via the official website of Olympiakos BC that the Serbian head coach will only be coaching the National Team of Serbia and no other club. He also said that if he ever coaches another club it will only be Olympiakos and no other team. This might come as a shock to some of the fans of Olympiakos as the general consensus was that Dusan Ivkovic would renew his contract with them but it does make sense. 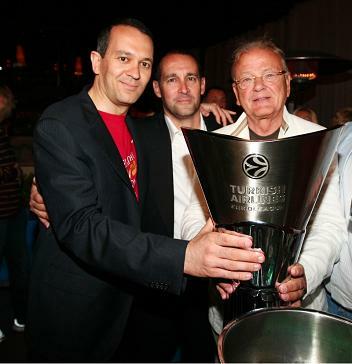 He stops his coaching career at club level winning the Euroleague and shattering the monopoly of Panathinaikos in the Greek league. Not bad for an epilogue. Obviously this creates quite a predicament for the Aggelopoulos brothers who find themselves lacking the mastermind at the bench and also find themselves with a handicap in the race to win the hearts of the available head coaches that would suit their needs and their budget of course.